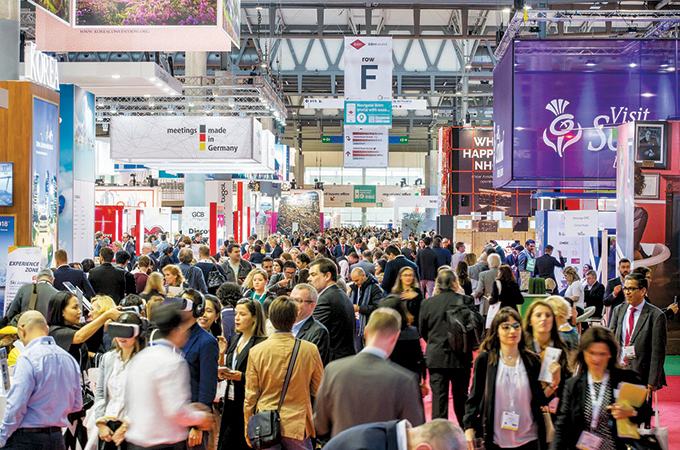 iBTM world, the leading annual event for the global meetings, incentives, conferences and events industry, is celebrating its 30th milestone anniversary in 2017. ibtm world 2017 will take place from November 28 to 30, 2017 at Fira Gran Via Barcelona. With this long-standing knowledge and experience, ibtm world continues to evolve its offering year-on-year, ensuring it always delivers tangible value and innovative solutions for attendees in a constantly evolving industry. This year, some 3,000 companies representing over 150 countries will exhibit, ranging from destinations, hotels and conference centres to technology companies and suppliers from across the industry, with over 70,000 pre-scheduled meetings set to take place. 1. Learning can be fun. The market-leading Knowledge Programme, the Technology and Services Zone, and the industry’s leading technology showcase, the Innovation Zone, all cater for what is an incredibly dynamic industry and ensure ibtm world offers its attendees a programme that gives them the opportunity to stay ahead of the curve. 2. Innovation is for all to try. ibtm world has further enhanced its offer for new and emerging technology and innovation with the addition of a Start-Up Pavilion, new for this year, where tech and experiential start-up companies can showcase their product to over 15,000 highly influential industry professionals. This, along with the Technology and Services Zone and the Innovation Zone which plays host to the winners of the Technology Watch Award, ensures ibtm world has an incredibly complete offer for attendees keen to explore and interact with new and emerging technology and services. 3. Meet the gurus. This year the Knowledge Programme, a major draw for attendees, will be headlined by two globally-renowned keynote speakers, Dame Stella Rimington, author and former director general of the UK Security Service and Yancey Strickler, co-founder and CEO of Kickstarter, the world’s largest funding platform for creative projects. Dame Stella and Yancey will share invaluable insights and learnings from their highly successful careers, directly relevant to some of the industry’s hottest topics and most debated issues. The full programme is focused on seven topical themes, including industry trends; engagement and experiences; safety, security and risk management; innovation, disruption and technology, to provide learnings that can add business value. ibtm world is also playing a leading role in supporting and inspiring the industry to take a sustainable approach to business and events, an ever-increasing area of focus across the Mice industry. As such, this year, ibtm events is a Platinum sponsor of Positive Impact’s campaign to tell the story of the power of events in support of the United Nations World Travel Organisation (UNWTO) International Year of Sustainable Tourism for Development. At this edition of ibtm world 2017, United Networks of International Corporate Event Organizers (UNICEO) is offering its members the possibility to meet and share with other corporate event Leaders and communicate about the 2018 European Congress. UNICEO will be hosting a session about event Return on Investment as part of the market-leading Knowledge Programme and will also organize a Leaders Meeting in Barcelona. This year ibtm world has a very comprehensive offer, including from the Middle East, with exhibitors from the region including AccorHotels United Arab Emirates, Egyptian Tourist Authority and Istanbul Convention & Visitor Bureau. All attendees have access to the full programme of networking events, including an 80s themed Welcome Party to celebrate the event’s 30th anniversary and the Networking Hour, where exhibitors will showcase their countries’ culture through music and food on the event floor. ibtm world has announced that its annual Meetings Leadership Summit (MLS), its exclusive invite-only networking event for international industry leaders, will this year take place at Gran Teatre del Liceu, in Barcelona. During the event, an awards presentation will recognise the contributions of three industries luminaries as the group gathers to mark the 30th anniversary of ibtm world on the eve of the event. Taking place on November 27, some 200 attendees from across the global meetings, incentives, conferences and events industry will gather for a cocktail reception and awards presentation in the famous Mirror Hall at the venue – Barcelona’s principal opera house and one of the city’s most stunning destinations.